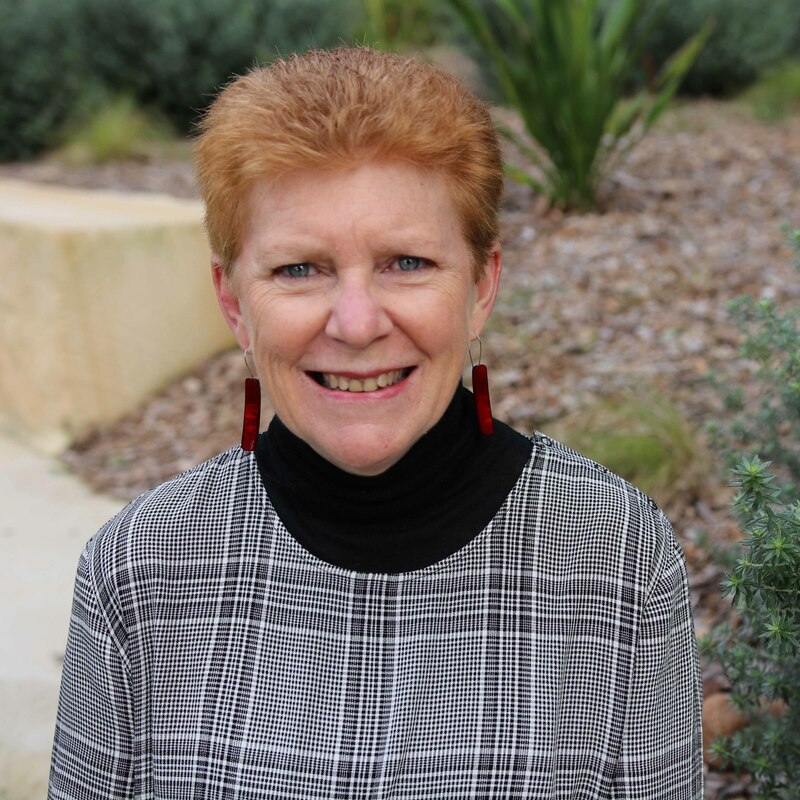 Career Summary: AProf Bowman completed her PhD in 1992 and has since attained an MPsyc(Clin) qualification. Subsequent to her PhD completion, she worked in several positions where research was not the primary focus; including as a service manager for D&A services, and as the (first) Evaluation Coordinator for the commonwealth-funded National Prescribing Service. These positions enhanced her understanding and skills with respect to real-world service delivery and clinical care provision, complex program evaluation, and working collaboratively as a member of large multidisciplinary teams. For approximately six years following commencement as an academic with the School of Psychology (2002-7), she assumed major responsibilities in program development and coordination. Since 2008, while continuing to teach, a greater opportunity to develop her research has been reflected in an increasing number of successful competitive research grants, publications and PhD students. AProf Bowman has over 90 peer-reviewed journal publications, and has been a Chief Investigator on grants to a value of over $5million (mostly NH&MRC funding). Her main research interest lies in reducing the burden of chronic disease at a population level, through health behaviour change, and she has particular experience in developing and evaluating ‘practice change’ interventions within health service and other settings to increase the delivery of preventive care to underserved populations. Publications: Since 2010, 53 publications in peer-reviewed journals which have included high quality international journals such as the American Journal of Preventive Medicine; with a publication rate on a steadily increasing trajectory. Research Support: Since 2010, a Chief Investigator on grants to a value of over $5million. A majority of this funding has been through NHMRC Partnership or Project grant schemes. Most recently, as CIA, awarded an NHMRC Project grant to undertake an ongoing randomised controlled trial evaluating the efficacy of an integrated smoking cessation intervention for mental health patients. Contribution to field of research: AProf Bowman has formed and led a research team addressing preventive care for smoking and other risk factors for people with a mental illness. This has involved building strong collaborative relationships with national and international researchers, and with the local mental health service. Her team has successfully developed and trialled multi-component interventions of international significance within inpatient and community settings. Collaborations: Productive collaborations initiated with key international researchers including AProf Judith (Jodi) Prochaska (Stanford University), Prof Jill Williams (Rutgers University) and Prof Robert West (University College London). These colleagues are now working with AProf Bowman’s team as research investigators and co-authors. On a national level, collaborations with Prof David Castle (University of Melbourne) and AProf Sharon Lawn (Flinders University). Professional Involvement / Community Engagement: AProf Bowman continues to serve as a member of the Executive of the Australasian Society for Behavioural Health and Medicine (ASBHM); a position held for approximately 10 years, including a 2 year term as President and serving several times as Chair of the Organising and/or Programme Committees for ASBHM’s annual scientific conferences. She recently contributed to the successful bid by ASBHM to host the 2016 International Congress of Behavioral Medicine to be held in Melbourne. Other current professional affiliations/memberships include: the Public Health Association of Australia; and the Society for Research on Nicotine and Tobacco. AProf Bowman is a registered Psychologist; Member of the Australian Psychological Society (APS); and Member of the College of Health Psychologists. She served a term (2009-10) as a member of the APS Scientific Academia and Research Advisory Group of the APS. Peer Review: Regular reviews for 10 international journals. Research application reviews for granting bodies including the NHMRC. Member of an NHMRC Public Health grant review panels on two occasions. Editorial Positions / Responsibilities: An Associate Editor for the International Journal of Behavioural Medicine. Supervision and Mentoring: Currently supervising 7 PhD students and successful supervision of 5 PhD students to completion. Over the last 5 years, supervision of the research of 10 MPsyc(Clin) students and the Honours research projects of approximately 15 Psychology students. Current responsibility for monitoring and mentoring PhD students within the Health and Clinical Research Group of the School of Psychology. Main Research Interests: AProf Bowman's primary research interest has been and continues to be the relationship between behaviour and heath, and in particular the modification of lifestyle factors to enhance health and well-being. The individual, organisational and environmental determinants of health-related behaviours are key to understanding and improving many aspects of health status and functioning. She has particular interest and experience in developing and evaluating interventions within clinical settings for the delivery of preventive care to underserved populations. Over the last 6-7 years, AProf Bowman has formed and led a research team addressing preventive care for smoking, nutrition, physical activity and other risk factors for people with a mental illness. This has involved building a strong collaborative research relationship with the local mental health service and successfully developing and trialling multi-component interventions across a range of settings. Interventions have included telephone-based support and integration with community-based prevention services. © 2018 Australian College of Mental Health Nurses Inc. The prevalence of health risk behaviours and associated poor physical health is high in people with severe mental illness. Mental health service guidelines and policies stipulate that mental health services should address physical health of people who access services. This study reports results from a large, interdisciplinary, cross-sectional study exploring mental health clinicians¿ (n¿=¿385) views of role legitimacy in physical health service provision. All disciplines reported that mental health clinicians have a role to play in addressing the physical health of consumers. Among mental health clinicians, psychiatrists and mental health nurses received higher endorsement than allied health clinicians in relation to the provision of physical health care, with primary care providers including general practitioners also ranking highly. As community mental health services routinely appoint allied health staff to case management roles, a challenge for services and a challenge for clinicians are to ensure that physical health and the effects of medication are monitored appropriately and systematically. Online and telephone support services received relatively lower endorsement. As the availability of nonface to face services increases, there is a need to explore their utility in this population and where appropriate promote their uptake. Copyright © 2019 The Cochrane Collaboration. Published by John Wiley & Sons, Ltd. This is a protocol for a Cochrane Review (Intervention). 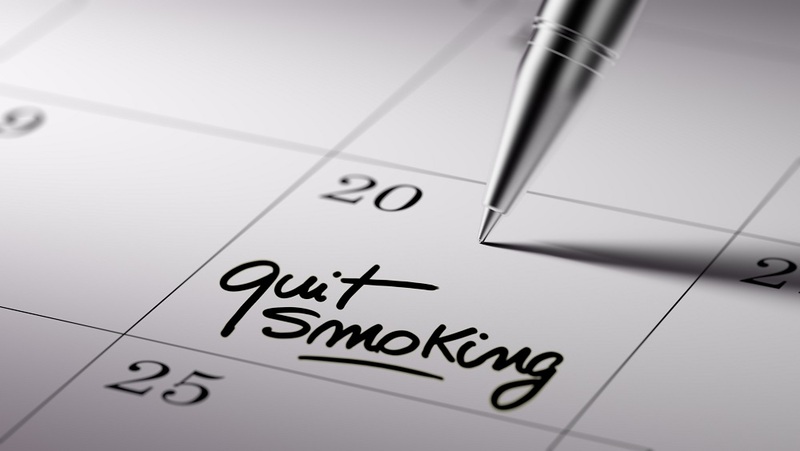 The objectives are as follows: The primary objective of this review is to determine the effectiveness of smoking reduction and cessation interventions (alone, or in combination with other interventions), delivered primarily in an outpatient or community-based setting among individuals with mental disorders, on rates of abstinence at the longest follow-up (minimum six months), mental health symptoms and adverse events. Secondary objectives are to examine the impact of such interventions on rates of abstinence at the end of the intervention, change in daily cigarette consumption, and quality-of-life or other function scores. We will explore (via subgroup analyses) potential differential effects on the basis of intervention type, control group type, recruitment setting (inpatient versus outpatient), mental disorder type, and motivation to quit at study intake. We may come across studies testing interventions which aim to increase the uptake of smoking interventions in people with a mental disorder. This may comprise interventions that either are incorporated into the system of delivering care, aimed at health professionals (e.g. Within a community mental health facility), as well as interventions aimed directly at people with a mental disorder to increase uptake. In this case we aim to examine whether these interventions increase the uptake of the smoking cessation treatment among people with a mental disorder, as well as whether they ultimately result in increased quit rates. © 2018 The Author(s). Background: Exploring factors associated with retention in randomised trials provides insight into potential threats to internal and external study validity, and may inform the development of interventions to increase retention in future trials. Given a paucity of existing research in the field, a study was conducted to explore factors associated with retention in a smoking intervention trial involving persons with a mental illness, considering demographic and smoking characteristics, treatment condition and engagement in prior follow-up assessments. Method: A descriptive study was undertaken using data derived from a RCT of a smoking cessation intervention initiated in four adult psychiatric inpatient units in New South Wales (NSW), Australia. Retention assessment was undertaken at 1, 6 and 12-months post-discharge. A Generalised Linear Mixed Model was adopted to explore associations between retention at any follow up time point and demographic and smoking characteristics. Chi square analyses explored the association between retention at all follow up time points and treatment condition, and binary logistic regression analyses assessed for relationships between retention at 12-month follow up and engagement in prior follow up assessments. Results: Retention rates were 63, 56 and 60% at the 1, 6 and 12-month assessments, respectively. No association was found between retention at any follow-up time point and 13 of 15 demographic and smoking characteristics. Younger participants and those who identified to be Aboriginal and/or Torres Strait Islander were more likely to be retained (both ps > 0.05). Retention rates did not vary according to treatment condition at any follow-up time point. Participants who completed a prior assessment were more likely to complete the 12 month assessment (both prior assessments: OR 10.7, p < 0.001; 6 month assessment: OR 6.01, p < 0.001; and 1 month assessment: OR 1.8, p = 0.002). Conclusion: The underrepresentation of younger participants and those identifying to be Aboriginal and/or Torres Strait Islander may limit the generalisability of findings. Findings suggest that inclusion of multiple contacts during a trial follow up period may increase retention at the final assessment. Interventions to improve retention, overall and for those sub-groups less likely to be retained, in smoking trials involving persons with a mental illness are needed. Further assessment of sample characteristics, and also trial design factors, associated with retention in this field is warranted. © 2018 The Authors International Journal of Mental Health Nursing published by John Wiley & Sons Australia, Ltd on behalf of Australian College of Mental Health Nurses Inc This study aimed to report the receipt of smoking care, and associated clinical and smoking characteristics among smokers admitted to four public psychiatric inpatient facilities in New South Wales, Australia. Between October 2012 and July 2014, adult smokers (N¿=¿236) were surveyed during admission to and 1¿month following discharge from the facilities. Measures of smoking care receipt were reported descriptively, and logistic regression analyses were used to explore characteristics associated with care receipt. The majority of participants were offered (78%) and used (78%) nicotine replacement therapy (NRT), with 66% of NRT-users reporting the amount provided was sufficient to reduce cravings. A minority of participants (16%) received information or advice to quit smoking, and 60% reported smoking throughout their admission. Patients not contemplating quitting and those with non-psychotic disorders were more likely to receive an offer of NRT. The findings suggest the provision of smoking care in Australian acute psychiatric units is sub-optimal overall, with an indication that care may be provided selectively to certain patients, rather than systematically to all. Development and dissemination of interventions to increase smoking care provision in inpatient psychiatry are needed. © 2017 Taylor & Francis Group, LLC. Cigarette smoking poses significant health burdens for people with mental illness. They die sooner than they should, and smoking is a major contributor to their high rates of morbid chronic physical health conditions and early mortality, compared to the general population. Family carers provide important support to people with mental illness. However, family carers&apos; perspectives of smoking by their family members with mental illness are largely absent from the research literature and from practice, despite smoking rates remaining high and quit rates remaining low for this population. We know little about how family carers are or could be involved in supporting people with mental illness who smoke to stop smoking. This paper aims to provide a discussion of the opportunities for family carers to support their family member&apos;s smoking cessation and a discussion of our preliminary research on this topic. From the available literature, it appears that family carers are well placed to support smoking cessation for this population; however, they struggled physically, philosophically, and emotionally with perceived responsibilities involving their family member&apos;s smoking and the caring role. They felt isolated and asserted that there was limited support from service providers to assist them. We concluded that family carers are important agents within the person&apos;s immediate environment who could help them to improve their smoking cessation success. This suggests also that mental health services and other health service providers could benefit from including family carers in their efforts to support smoking cessation for people with mental illness who smoke. © 2016 The Authors Drug and Alcohol Review published by John Wiley & Sons Australia, Ltd on behalf of Australasian Professional Society on Alcohol and other Drugs Introduction and Aims: Health risk behaviours, such as smoking, nutrition and physical inactivity, are significant contributors to chronic disease for people with substance use disorders. This study reports the prevalence of these behaviours amongst substance use treatment clients, their attitudes towards modifying such behaviours and the acceptability of receiving support to do so. Client characteristics associated with risk status and interest in modifying behaviours were examined. Design and Methods: A cross-sectional survey was undertaken with clients of 15 community substance use treatment services within in New South Wales, Australia. Data for the study were collected via computer assisted telephone interviews. Results: Of those contactable and eligible, 386 (71%) clients completed the survey. Clients reported a high prevalence of smoking (80%), insufficient fruit and/or vegetable consumption (89%) and insufficient physical activity (31%). Overall, 51¿69% of clients reported considering modifying their health risk behaviours and 88¿97% thought it was acceptable to be provided preventive care to address such behaviours. Younger clients were more likely to smoke (18¿34 years (odds ratio [OR] = 4.6 [95% confidence interval [CI] = 1.9, 11.3]); 35¿54 years (OR = 2.6 [95% CI = 1.2, 5.7])) and be interested in increasing vegetable consumption (18¿34 years (OR = 4.4 [95% CI = 1.3, 14.8]); 35¿54 years (OR = 8.0 [95% CI = 2.5, 25.4])) than older clients (=55 years). Discussion and Conclusions: There is a high prevalence of health risk behaviours amongst clients of community substance use treatment services. However, contrary to commonly cited barriers to care provision, clients are interested in modifying their risk behaviours and report that receiving preventive care to address these behaviours is acceptable. [Tremain D, Freund M, Wolfenden L, Wye P, Bowman J, Dunlop A, Gillham K, Bartlem K, McElwaine K, Gow B, Wiggers J. Modifiable health risk behaviours and attitudes towards behaviour change of clients attending community-based substance use treatment services. Drug Alcohol Rev 2017;36:369¿377.]. © 2017 The Authors People with a mental illness experience greater chronic disease morbidity and mortality compared to those without mental illness. Family carers have the potential to promote the health behaviours of those they care for however factors which may influence the extent to which they do so have not been reported. An exploratory study was conducted to investigate carers&apos;: 1) promotion of fruit and vegetable consumption, physical activity, quitting smoking, and reducing alcohol consumption; 2) perceptions of their role and ability to promote such behaviours; 3) and the association between carer perceptions and the promotion of such behaviours. A cross-sectional survey was conducted with mental health carers (N¿=¿144, 37.6% response rate) in New South Wales, Australia in 2013. Associations between current promotion of health behaviours and carer perceptions were explored through multivariate regression analysis in 2016. A majority of respondents promoted fruit and vegetable consumption (63.8%), physical activity (60.3%), quitting smoking (56.3%), and reducing alcohol consumption (56.2%) to the person they cared for. A perception that it was ¿very important¿ to have a positive influence on these behaviours was positively related with promotion of each of the four behaviours, with those holding such a view being more likely to promote such behaviours, than those who did not (odds ratio: 9.47¿24.13, p¿<¿0.001). The majority (56.2%¿63.8%) of carers reported promoting the health behaviours of those they cared for, demonstrating a need and opportunity to build the capacity of carers to contribute to reducing the health risk behaviours among people with a mental illness. © The Royal Australian and New Zealand College of Psychiatrists. Objective: Interventions are required to redress the disproportionate tobacco-related health burden experienced by persons with a mental illness. This study aimed to assess the efficacy of a universal smoking cessation intervention initiated within an acute psychiatric inpatient setting and continued post-discharge in reducing smoking prevalence and increasing quitting behaviours. Method: A randomised controlled trial was undertaken across four psychiatric inpatient facilities in Australia. Participants (N = 754) were randomised to receive either usual care (n = 375) or an intervention comprising a brief motivational interview and self-help material while in hospital, followed by a 4-month pharmacological and psychosocial intervention (n = 379) upon discharge. Primary outcomes assessed at 6 and 12 months post-discharge were 7-day point prevalence and 1-month prolonged smoking abstinence. A number of secondary smoking-related outcomes were also assessed. Subgroup analyses were conducted based on psychiatric diagnosis, baseline readiness to quit and nicotine dependence. Results: Seven-day point prevalence abstinence was higher for intervention participants (15.8%) than controls (9.3%) at 6 months post-discharge (odds ratio = 1.07, p = 0.04), but not at 12 months (13.4% and 10.0%, respectively; odds ratio = 1.03, p = 0.25). Significant intervention effects were not found on measures of prolonged abstinence at either 6 or 12 months post-discharge. Differential intervention effects for the primary outcomes were not detected for any subgroups. At both 6 and 12 months post-discharge, intervention group participants were significantly more likely to smoke fewer cigarettes per day, have reduced cigarette consumption by 3/450% and to have made at least one quit attempt, relative to controls. Conclusions: Universal smoking cessation treatment initiated in inpatient psychiatry and continued post-discharge was efficacious in increasing 7-day point prevalence smoking cessation rates and related quitting behaviours at 6 months post-discharge, with sustained effects on quitting behaviour at 12 months. Further research is required to identify strategies for achieving longer term smoking cessation. © The Author 2016. Introduction: The prevalence of smoking among persons with a mental illness has remained unchanged, being 2-3 times higher than the general population in high-income countries. Assessment of the volume and characteristics of research output over time can assist in identifying research priorities to promote progress within a field. The aim of this study was to undertake such an assessment in the field of smoking and mental illness. Methods: A descriptive repeat cross-sectional study was conducted of peer-reviewed publications in Medline and PsycINFO for the periods 1993-1995, 2003-2005, and 2013-2015. Publications were classified as data- or non-data-based; data-based publications were further categorized by study type, population, setting, and for intervention-focused publications by level of evidence and research translation phase. Results: Included were 547 articles published in 1993-1995 (n = 65), 2003-2005 (n = 153), and 2013-2015 (n = 329). The number and proportion of data-based publications significantly increased over time, although their focus remained predominantly descriptive (=83%); less than 14% of publications in any period had an intervention focus. The proportion of publications reporting on study populations with multiple diagnostic categories and recruiting from nonmental health settings, significantly increased from 1993-1995 to 2003-2005, however then plateaued by 2013-2015. The level of evidence provided by intervention-focused publications was suggested to increase over time, however there was no evident variation in translation phase. Conclusions: Research has increased over time to characterize smoking among those with a mental illness; however more is needed to inform the development and implementation of effective cessation interventions for this group. Implications: This is the first study to examine the volume and characteristics of research publications in the field of smoking and mental illness over time. The number of publications increased fivefold between 1993-1995 and 2013-2015. Between 1993-1995 and 2003-2005, progression was also indicated by increased: data-based publications, diagnostic diversity of samples, and variation in study settings; however further increases in such measures were not evident in 2013-2015. Notably, it continues to be the case that few intervention studies are undertaken. To achieve meaningful changes in the smoking prevalence of this group, a greater focus on research that assesses the effectiveness and implementation of tailored cessation interventions is required. © 2016, Springer Science+Business Media New York. Background Exposure to secondhand smoke (SHS) is a significant contributor to ill health in children. A study was undertaken to determine the effectiveness of two brief multi-strategic child health nurse delivered interventions in: decreasing the prevalence of infants exposed to SHS; decreasing the prevalence of smoking amongst parent/carers of infants and increasing the prevalence of household smoking bans. Methods This study was a 3 arm, cluster randomised controlled trial. Clusters were 39 community based well child health clinics in one local area health service. Clinics were stratified according to annual number of client appointments and then randomly assigned in a 1:1:1 ratio, (Intervention 1: Intervention 2: Control), with 13 clinics in each cluster. Parents/carers of infants in the intervention groups received a brief multi-strategic intervention from child health nurses during clinic consultations. Treatment condition¿1 included computer delivered risk assessment and feedback and nurse brief advice. Treatment condition¿2 included all elements of Treatment condition¿1 with the addition of biochemical feedback of infant SHS exposure. Results When compared to the Control group at 12¿months, no significant differences in the prevalence of infant exposure to SHS were detected from baseline to follow-up for Treatment condition¿1 (OR 1.16, 95¿% CI 0.73¿1.85, p¿=¿0.53) or Treatment condition¿2 (OR 1.30, 95¿% CI 0.88¿1.92, p¿=¿0.19) Similarly, no significant differences were detected in the proportion of parent/carers who reported that they were smokers (T1:OR 0.95, 95¿% CI 0.78¿1.15, p¿=¿0.58 and T2:OR 0.97, 95¿% CI 0.80¿1.18, p¿=¿0.77), or in the proportion of households reported to have a complete smoking ban (T1:OR 1.21, 95¿% CI 0.89¿1.64, p¿=¿0.23 and T2:OR 1.06, 95¿% CI 0.79¿1.43, p¿=¿0.68). Conclusions Further research is required to identify effective interventions that can be consistently provided by child health nurses if the potential of such settings to contribute to reductions in child SHS exposure is to be realised. © 2016 Bartlem et al. Background: Preventive care for chronic disease risk behaviours by mental health clinicians is sub-optimal. Little research has examined the association between clinician attitudes and such care delivery. This study aimed to explore: i) the attitudes of a multi-disciplinary group of community mental health clinicians regarding their perceived role, perception of client interest, and perceived self-efficacy in the provision of preventive care, ii) whether such attitudes differ by professional discipline, and iii) the association between these attitudes and clinician provision of such care. Method: A telephone survey was conducted with 151 Australian community mental health clinicians regarding their attitudes towards provision of assessment, advice and referral addressing smoking, nutrition, alcohol, and physical activity, and their reported provision of such care. Logistic regression was used to examine the association between attitudes and care delivery, and attitudinal differences by professional discipline. Results: Most clinicians reported that: their manager supported provision of preventive care; such care was part of their role; it would not jeopardise their practitioner-client relationships, clients found preventive care acceptable, and that they had the confidence, knowledge and skills to modify client health behaviours. Half reported that clients were not interested in changing their health behaviours, and one third indicated that the provision of preventive care negatively impacted on time available for delivery of acute care. The following attitudes were positively associated with the provision of preventive care: role congruence, client interest in change, and addressing health risk behaviours will not jeopardise the client-clinician relationship. Conclusions: Strategies are required to translate positive attitudes to improved client care and address attitudes which may hinder the provision of preventive care in community mental health. OBJECTIVE: To compare the outcomes of a new group assessment format with conventional individual assessment.DESIGN: A randomized controlled trial.SETTING: An Australian tertiary hospital multidisciplinary pain service.PATIENTS: Adults referred with chronic non-cancer pain.METHODS: Following attendance at an education and orientation group, 211 participants were randomized to either a group assessment format (focused on supported self-assessment) or individual assessment. Follow-up occurred 3 months post-assessment and prior to subsequent pain service intervention. Outcome measures were pain intensity, pain interference, self-efficacy, psychological distress, health care utilization beyond the pain service, waiting time, participant satisfaction, and implementation of self-management strategies.RESULTS: Seventy-two participants undertook group assessment and 90 were assessed individually. Follow-up data were collected on 57 group and 72 individual assessment participants. Results revealed no significant differences between the two assessment formats in outcome with the exception of wait-times. Median wait-time to the first offer of assessment was 47 days for the group format and 144 days for individual.CONCLUSIONS: Group assessment provides a viable alternative to conventional individual assessment. The group assessment reduced wait-times while delivering otherwise comparable outcomes. © 2016 The Authors. Introduction: People with substance use problems have a higher prevalence of modifiable health risk behaviors. Routine clinician provision of preventive care may be effective in reducing such health behaviors. This study aimed to examine clinician provision of preventive care to clients of community substance use treatment services. Methods: A cross-sectional survey was undertaken with 386 clients and 54 clinicians of community substance use treatment services in one health district in New South Wales, Australia. Client- and clinician-reported provision of three elements of care (assessment, brief advice and referral) for three health risk behaviors (tobacco smoking, insufficient fruit and/or vegetable consumption and insufficient physical activity) was assessed, with associations with client characteristics examined. Results: Provision was highest for tobacco smoking assessment (90% client reported, 87% clinician reported) and brief advice (79% client reported, 80% clinician reported) and lowest for fruit and vegetable consumption (assessment 23%, brief advice 25%). Few clients reported being offered a referral (<. 10%). Assessment of physical activity and brief advice for all behaviors was higher for clients residing in rural/remote areas. Conclusion: Assessment and brief advice were provided to the majority of clients for smoking, but sub-optimally for the other behaviors. Further investigation of barriers to the provision of preventive care within substance use treatment settings is required, particularly for referral to ongoing support. © 2016 Australasian Professional Society on Alcohol and other Drugs. Introduction and Aims: Enforcement of liquor licensing laws is limited by inadequate police information systems. This study aimed to: (i) determine the effectiveness of an intervention in facilitating police recording of the alcohol consumption characteristics of people involved in assaults; and (ii) describe such characteristics by geographic area and setting of alcohol consumption.Design and Methods: A stepped wedge trial was conducted across New South Wales, Australia. An intervention to facilitate police recording of alcohol consumption information for people involved in incidents was implemented. For people involved in an assault the proportion for which alcohol consumption information was recorded was assessed. The proportion of assaults that were alcohol related, the proportions of people that consumed alcohol prior to the assault, were intoxicated, and had consumed alcohol in various settings, are described.Results: Post-intervention, alcohol consumption information was recorded for 85-100% of people involved in an assault incident. The proportion of incidents recorded as alcohol-related increased significantly (26-44.5%; P<0.0001). The proportion of assaults classified as alcohol related was significantly greater in regional/rural areas (50-47%) than in metropolitan areas (38%). More people in metropolitan areas (54%) consumed alcohol on licensed premises prior to an assault than in regional/rural areas (39-42%), with approximately 70% of persons intoxicated regardless of setting of alcohol consumption. Twenty percent of premises accounted for 60% of assaults linked to licensed premises.Discussion and Conclusions: The intervention was effective in enhancing the recording of alcohol-related information for assault incidents. Such information could enhance targeted policing of liquor licensing laws. [Wiggers JH, Hacker A, Kingsland M, Lecathelinais C, Tindall J, Bowman JA, Wolfenden L. Facilitating police recording of the alcohol-related characteristics of assault incidents: A stepped wedge implementation trial. Drug Alcohol Rev 2015;00:000-000]. © 2016, The Author(s). Psychiatric inpatient settings represent an opportunity to initiate the provision of tobacco cessation care to smokers with a mental illness. This study describes the use of evidence-based smoking cessation aids proactively and universally offered to a population of psychiatric inpatients upon discharge, and explores factors associated with their uptake. Data derived from the conduct of a randomised controlled trial were analysed in terms of the proportion of participants (N¿=¿378) that utilised cessation aids including project delivered telephone smoking cessation counselling and nicotine replacement therapy (NRT), and Quitline support. Factors associated with uptake of cessation aids were explored using multivariable logistic regression analyses. A large proportion of smokers utilised project delivered cessation counselling calls (89¿%) and NRT (79¿%), while 11¿% used the Quitline. The majority accepted more than seven project delivered telephone cessation counselling calls (52¿%), and reported NRT use during more than half of their accepted calls (70¿%). Older age, higher nicotine dependence, irregular smoking and seeing oneself as a non-smoker were associated with uptake of behavioural cessation aids. Higher nicotine dependence was similarly associated with use of pharmacological aids, as was NRT use whilst an inpatient. Most smokers with a mental illness took up a proactive offer of aids to support their stopping smoking. Consideration by service providers of factors associated with uptake may increase further the proportion of such smokers who use evidence-based cessation aids and consequently quit smoking successfully. © 2015 Australian College of Mental Health Nurses Inc. The implementation of smoke-free policies in inpatient psychiatric facilities, including patient adherence, mental health nursing staff support, and provision of nicotine-dependence treatment to patients, has been reported to be poor. The extent to which the quality of smoke-free policy implementation is associated with patient views of a policy is unknown. We conducted a cross-sectional survey of 181 patients (53.6%, n = 97 smokers; and 46.4%, n = 84 non-smokers) in an Australian inpatient psychiatric facility with a total smoke-free policy. Smokers&apos; adherence to the policy was poor (83.5% smoked). Only half (53.6%) perceived staff to be supportive of the policy. Most smokers used nicotine-replacement therapy (75.3%); although few received optimal nicotine-dependence treatment (19.6%). Overall, 45.9% of patients viewed the smoke-free policy in the unit as positive (29.9% smokers; 64.3% non-smokers). For smokers, adhering to the ban, perceiving staff to be supportive, and reporting that the nicotine-replacement therapy reduced cravings to smoke were associated with a more positive view towards the smoke-free policy. These findings support the importance of patient adherence, mental health nursing staff support, and adequate provision of nicotine-dependence treatment in strengthening smoke-free policy implementation in inpatient psychiatric settings. 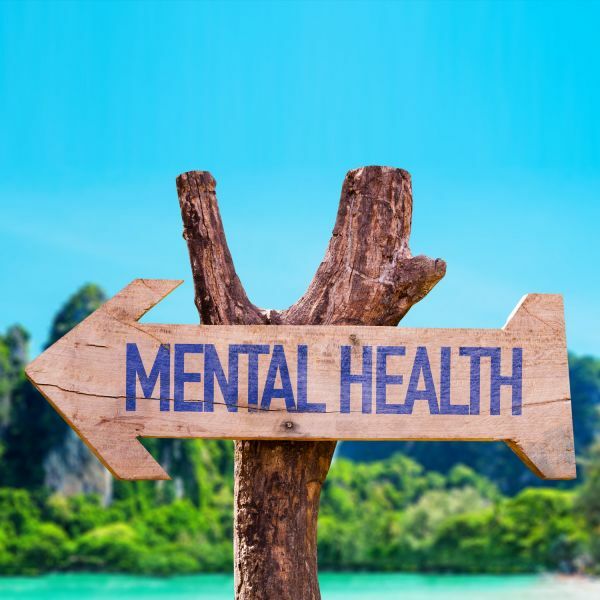 Objective: Compared with the general population, people with a mental illness have a greater prevalence of behaviors that contribute to higher chronic disease rates. Mental health clinical guidelines recommend preventive care to address such behaviors; however, little information is available about whether clients consider preventive care acceptable or about the prevalence of such care in mental health services. This article describes acceptability and receipt of assessment, advice, and referral for smoking, inadequate fruit and vegetable consumption, harmful alcohol consumption, and physical inactivity, as reported by community mental health service clients. The association between preventive care, diagnosis, and number of clinical appointments was examined. Methods: A cross-sectional telephone interview was conducted with clients (N=558) of community mental health services in Australia. Results: Although preventive care was highly acceptable to clients (86%297%), receipt of preventive care was low. Client receipt of risk assessment ranged from 26% (assessment of fruit or vegetable intake) to 76% (assessment of alcohol consumption). The proportion of clients at risk of and assessed for unhealthy behavior who then received brief advice ranged from 69% (fruit or vegetable intake) to 85% (physical activity), whereas only 38% (alcohol consumption) to 49% (smoking) received any referral. A greater number of mental health appointments were associated with higher prevalence of preventive care, as were diagnoses of diabetes or respiratory conditions and not having a schizophrenia diagnosis. Conclusions: Practice change strategies are required to increase the delivery of routine preventive care within mental health services if clients are to benefit from clinical guidelines. Objective: Smoke-free policies have been introduced in inpatient psychiatric facilities in most developed nations. Such a period of supported abstinence during hospitalization may impact smoking behaviours post discharge, yet little quantitative evidence exists. The aim of this review was to provide the first synthesis of the research evidence examining the impact of a smoke-free psychiatric hospitalization on patients smoking-related behaviours, motivation, and beliefs. Methods: We conducted a systematic review of electronic databases PubMed, MEDLINE, PsycINFO, and EMBASE from inception to June 2013. Studies were included if they were conducted in an inpatient psychiatric facility with a smokefree policy and if they examined any change in patients smoking-related behaviours, motivation, or beliefs either during admission, post discharge, or both. Risk of bias was assessed using the Cochrane Collaboration Risk of Bias Tool. Results: Fourteen studies were included in the review. Of the four studies that assessed change in smoking from admission to post discharge, two indicated a significant decline in cigarette consumption up to 3 months post discharge. Positive changes in motivation to quit and beliefs about quitting ability were identified in two studies. One study reported an increase in the rate of quit attempts and one reported a decline in nicotine dependence levels. Conclusions: A smoke-free psychiatric hospitalization may have © The Royal Australian and New Zealand College of Psychiatrists 2014. © 2014 American Journal of Preventive Medicine. Background People with a mental illness have higher prevalence of behavioral risks for chronic disease than the general population. Despite recommendations regarding the provision of preventive care by mental health services, limited research has examined the extent to which such care is provided.Purpose To examine mental health clinician provision of care for preventable chronic disease risks, and whether such care was associated with the availability of practice support strategies.Methods A cross-sectional survey was undertaken of 151 community mental health clinicians in New South Wales, Australia regarding the provision of three elements of preventive care (i.e., assessment, brief advice, and referral/follow-up) for four health risk behaviors (i.e., tobacco smoking, inadequate fruit and vegetable consumption, harmful alcohol consumption, and inadequate physical activity). Clinicians reported the availability of 16 strategies to support such care delivery. Data were collected in 2010 and analyzed in 2012-2013.Results Preventive care provision varied by both care element and risk behavior. Optimal care (each care element provided to at least 80% of clients for all health behaviors) was provided by few clinicians: assessment (8.6%), brief advice (24.5%), and referral/follow-up (9.9%). Less than half of clinicians reported more than four support strategies were available (44.4%). The availability of five or more strategies was associated with increased optimal preventive care.Conclusions The provision of preventive care focused on chronic disease prevention in community mental health services is suboptimal. Interventions to increase the routine provision of such care should involve increasing the availability of evidence-based strategies to support care provision. © 2014 American Journal of Preventive Medicine. Background: Although primary care nurse and allied health clinician consultations represent key opportunities for the provision of preventive care, it is provided suboptimally. Purpose: To assess the effectiveness of a practice change intervention in increasing primary care nursing and allied health clinician provision of preventive care for four health risks. Design: Two-group (intervention versus control), non-randomized controlled study assessing the effectiveness of the intervention in increasing clinician provision of preventive care. Setting/participants: Randomly selected clients from 17 primary healthcare facilities participated in telephone surveys that assessed their receipt of preventive care prior to (September 2009-2010, n=876) and following intervention (October 2011-2012, n=1,113). Intervention: The intervention involved local leadership and consensus processes, electronic medical record system modification, educational meetings and outreach, provision of practice change resources and support, and performance monitoring and feedback. Main outcome measures: The primary outcome was differential change in client-reported receipt of three elements of preventive care (assessment, brief advice, referral/follow-up) for each of four behavioral risks individually (smoking, inadequate fruit and vegetable consumption, alcohol overconsumption, physical inactivity) and combined. Logistic regression assessed intervention effectiveness. Results: Analyses conducted in 2013 indicated significant improvements in preventive care delivery in the intervention compared to the control group from baseline to follow-up for assessment of fruit and vegetable consumption (+23.8% vs -1.5%); physical activity (+11.1% vs -0.3%); all four risks combined (+16.9% vs -1.0%) and for brief advice for inadequate fruit and vegetable consumption (+19.3% vs -2.0%); alcohol overconsumption (+14.5% vs -8.9%); and all four risks combined (+14.3% vs +2.2%). The intervention was ineffective in increasing the provision of the remaining forms of preventive care. Conclusions: The intervention&apos;s impact on the provision of preventive care varied by both care element and risk type. Further intervention is required to increase the consistent provision of preventive care, particularly referral/follow-up. The purpose of this study was to determine the prevalence of children&apos;s food requests, and parents&apos; experiences of food marketing directed towards children, in the supermarket environment. A mixed-method design was used. Firstly, intercept interviews were conducted with parents accompanied by a child/children on exiting supermarkets (sampled from a large regional centre in Australia). Parents were asked about the prevalence and types of food requests by child/children during their supermarket visit and whether they purchased these foods. Secondly, focus groups (n = 13) and telephone interviews (n = 3) were conducted exploring parents&apos; experiences of supermarket shopping with children and the impact of child-directed marketing. Of the 158 intercept survey participants (30% response rate), 73% reported a food request during the supermarket visit. Most requested food items (88%) were unhealthy foods, with chocolate/ confectionery being the most common food category requested (40%). Most parents (70%) purchased at least one food item requested during the shopping trip. Qualitative interviews identified four themes associated with food requests and prompts in the supermarket: parents&apos; experience of pester power in the supermarket; prompts for food requests in the supermarket; parental responses to pestering in the supermarket environment, and; strategies to manage pestering and minimize requests for food items. Food requests from children are common during supermarket shopping. Despite the majority of the requests being unhealthy, parents often purchase these foods. Parents reported difficulties dealing with constant requests and expressed desire for environmental changes including confectionery-free checkouts, minimization of child friendly product placement and reducing children&apos;s exposure to food marketing.© The Author (2012). Published by Oxford University Press. © The Author 2014. Published by Oxford University Press on behalf of the Society for Research on Nicotine and Tobacco. All rights reserved. Introduction: Persons with a mental disorder smoke at higher rates and suffer disproportionate tobacco-related burden compared with the general population. The aim of this study was to determine if a smoking cessation intervention initiated during a psychiatric hospitalization and continued postdischarge was effective in reducing smoking behaviors among persons with a mental disorder. Methods: A randomized controlled trial was conducted at an Australian inpatient psychiatric facility. Participants were 205 patient smokers allocated to a treatment as usual control (n = 101) or a smoking cessation intervention (n = 104) incorporating psychosocial and pharmacological support for 4 months postdischarge. Follow-up assessments were conducted at 1 week, 2, 4, and 6 months postdischarge and included abstinence from cigarettes, quit attempts, daily cigarette consumption, and nicotine dependence. Results: Rates of continuous and 7-day point prevalence abstinence did not differ between treatment conditions at the 6-month follow-up; however, point prevalence abstinence was significantly higher for intervention (11.5%) compared with control (2%) participants at 4 months (OR = 6.46, p = .01). Participants in the intervention condition reported significantly more quit attempts (F[1, 202.5] = 15.23, p = .0001), lower daily cigarette consumption (F[4, 586] = 6.5, p < .001), and lower levels of nicotine dependence (F[3, 406] = 8.5, p < .0001) compared with controls at all follow-up assessments. Conclusions: Postdischarge cessation support was effective in encouraging quit attempts and reducing cigarette consumption up to 6 months postdischarge. Additional support strategies are required to facilitate longer-term cessation benefits for smokers with a mental disorder. An emerging body of research demonstrates the effectiveness of Acceptance and Commitment Therapy (ACT) in the treatment of adult psychopathology, with several reviews and meta-analyses attesting to its effectiveness. While there are comparatively fewer empirical studies of child populations, the past few years has seen burgeoning research interest in the utility of ACT for problems in childhood. A systematic review of the published and unpublished literature was conducted to examine the evidence for ACT in the treatment of children and to provide support for clinical decision making in this area. Searches of PsycInfo, PsycArticles, PsycExtra, Proquest and the Association for Contextual Behavioral Science databases were undertaken, as well as reference lists and citation searches conducted, up to December 2014. Broad inclusion criteria were employed to maximise review breadth. Methodological quality was assessed and a narrative synthesis approach adopted. Twenty-one studies covering a spectrum of presenting problems met inclusion criteria, with a total of 707 participants. Studies were predominantly within-group designs, with a lesser proportion of case studies/series, between-group and randomised controlled trials. The preponderance of evidence suggests ACT results in improvements in clinician, parent and self-reported measures of symptoms, quality of life outcomes and/or psychological flexibility, with many studies demonstrating further gains at follow-up assessment. However, several methodological weaknesses limit conclusions, including small samples, non-randomised designs, and few alternative treatment or control comparisons. While larger scale, methodologically rigorous trials from a broader research teams are needed to consolidate these preliminary findings, emerging evidence suggests ACT is effective in the treatment of children across a multitude of presenting problems. ACT may be a viable alternative treatment option for clinicians working with young people. With a lifetime prevalence of approximately 17% among community-dwelling adults, anxiety disorders are among the most pervasive of contemporary psychiatric afflictions. Traditional Cognitive Behaviour Therapy (CBT) is currently the first line evidence-based psychosocial intervention for the treatment of anxiety. Previous research, however, has found that a significant proportion of patients do not respond to traditional CBT or exhibit residual symptomatology at treatment cessation. Additionally, there is a paucity of evidence among child populations and for the comparative effectiveness of alternative interventions. Acceptance and Commitment Therapy (ACT) has a growing empirical base demonstrating its efficacy for an array of problems. A systematic review was conducted to examine the evidence for ACT in the treatment of anxiety. PsycInfo, PsycArticles, PsycExtra, Medline and Proquest databases were searched, reference lists examined and citation searches conducted. Two independent reviewers analysed results, determined study eligibility and assessed methodological quality. Thirty-eight studies met inclusion criteria (total n. = 323). The spectrum of DSM-IV anxiety disorders as well as test and public speaking anxiety were examined. Studies were predominantly between-group design and case studies, with few employing control comparisons. Several methodological issues limit conclusions; however results provide preliminary support for ACT. Larger scale, methodologically rigorous trials are needed to consolidate these findings. © 2013 . Objectives: The consequences of acute excessive alcohol consumption for the health and wellbeing of individuals and the community are significant, with drinking on licensed premises accounting for a disproportionate amount of harm. Most data arises from studies undertaken in hospital admission and emergency departments, with significant limitations. Data from ambulance attendances has a potential to contribute to a more accurate picture of alcohol-related harm in the community, but has as yet not been tested. The objectives of this study are: 1. To determine the prevalence and predictors of alcohol involvement in cases attended by the ambulance service 2. To determine the prevalance and predictors of alcohol consumption having occurred on licensed premises, and 3. To gauge the extent of &apos;new&apos; alcohol-related harm captured that would not be included in hospital data. Methods: One large ambulance station and its officers in Newcastle, NSW, participated. Data was collected from alcohol-related items added to the case sheet information routinely recorded by ambulance officers, and collected for all cases attended over a two-month period. Results: Alcohol was involved in 16% of the 1358 eligible cases from which data were available over the study period, and for 44% of these cases, alcohol had been consumed on a licensed premise. Factors associated with cases of alcohol involvement and with cases where alcohol consumption had occurred on licensed premises, were: being male; young; weekend as opposed to weekday; nighttime as opposed to day-time; and presenting with &apos;trauma&apos; as opposed to other conditions. Cases where alcohol was involved were three times less likely to be transported to hospital, than in those cases where alcohol was not involved. Conclusions: The extent of alcohol-related harm evident in cases attended by ambulance was substantial, and the role of drinking on licensed premises evident. The study demonstrated the method of data collection used to be feasible, and that a substantial amount of &apos;new&apos; alcohol related harm was captured. Objectives: Relatively little research however investigates the behaviours and beliefs that may be precursors to the development of eating disorders, despite the knowledge that disordered eating symptoms (such as inappropriate dieting, fasting, bingeing and purging) are very prevalent among young women - though not (yet) meeting clinically diagnostic criteria. The main objective of this study is to examine possible relationships between disordered eating behaviours and &apos;early maladaptive schemas&apos; - deep cognitive structures developed in childhood, and suggested by recent research to be associated with the development of clinical eating disorders and of value to address in treatment. Such relationships may have implications for early detection and intervention to prevent the development of eating disorders. Methods: A survey of 111 first year Psychology students, aged 17-25 years, was undertaken. Measures included: BMI, body weight dissatisfaction, disordered eating behaviours, depression and anxiety (DASS), and the Young Schema Questionnaire (YSQ-S1). Results: 68% of the sample were dissatisfied with their weight: 30% &apos;very&apos; or &apos;extremely&apos;. Of those dissatisfied, 40% nominated an ideal weight that would place them in an underweight BMI category. Disordered eating behaviours, engaged in for the purpose of weight loss, were also prevalent: 67% dieting, 18% fasting, 32% bingeing, and 21% purging, within the past 3 months. Based on practices reported in the past 3 months, subjects were placed in one of the three &apos;disordered eating behaviour&apos; categories, with the proportions in each as follows: no symptoms (NS) (22%), dieting only (DO) (34%), and eating disordered symptoms (EDS) (44%) (fasting, bingeing, purging). The EDS group had significantly higher mean scores for depression, anxiety and stress than the other groups. The EDS group also had higher scores for the 15 maladaptive schema assessed, significantly so for five (abandonment, social isolation, defectiveness/shame, vulnerability/harm, and emotional inhibition). These particular maladaptive beliefs are those also identified as high among clinical populations with diagnosed eating disorders. Conclusions: Maladaptive beliefs, and measures of emotional distress, were related to the practice of particular disordered eating behaviours with interesting possible implications for detection and early intervention with &apos;high risk&apos; individuals. Background. While Hispanic women have lower rates of breast cancer than do women of other ethnic groups, they are the least likely to undergo screening examinations. This study evaluated a culturally sensitive and linguistically appropriate, tailored, computer-based, educational program for early detection of breast cancer aimed at high-risk Hispanic women. Methods. Spanish-speaking Hispanic women from an inner-city community health clinic were recruited and randomly assigned either to a computer intervention with an interactive soap-opera format (n = 118) or to a comparison group (n = 60). Pre- and posttests were used to identify any change in breast-cancer-related knowledge and beliefs. Results. Both younger (18-40 years old) and older (41-65 years old) women in the intervention group demonstrated significant increases in their breast cancer screening knowledge and beliefs as compared with the younger and older women in the comparison group (n < 0.05). Conclusions. Computer-based tailored and interactive soap operas that are linguistically and culturally appropriate are effective in increasing breast cancer screening knowledge and beliefs among underserved Spanish-speaking Hispanic women. Binge consumption contributes substantially to the occurrence of alcohol-related harm. Despite its importance, binge drinking is not well defined in the literature. The present study examines the proportions of respondents identified as binge drinkers by three separate measures: a 1- week retrospective drinking diary (RD), the Alcohol Use Disorders Identification Test (AUDIT), and a quantity/frequency (QF) question. Overall, AUDIT detected the highest proportion of binge drinkers, followed by QF and RD. There was also good agreement between QF and RD, as well as QF and AUDIT. Ultimately, the measure of choice should be that which provides information most appropriate to the purposes of each study. To assess the comparative efficacy, by randomised controlled trial, of three interventions designed to encourage ¿at risk¿ women to have a Pap smear: an educational pamphlet; letters inviting attendance at a women&apos;s health clinic; and letters from physicians. ¿ Subjects at risk for cervical cancer who had not been adequately screened were identified by a random community survey and randomly allocated to one of the intervention groups or a control group. Six months after intervention implementation, a follow up survey assessed subsequent screening attendance. Self report was validated by comparison with a national screening data base. ¿ A significantly greater proportion of women (36.9%) within the group receiving a physician letter reported screening at follow up than in any other group (P =0.012). The variables most strongly predicting screening attendance were: age, perceived frequency of screening required, use of oral contraceptives, and allocation to receive the physician letter intervention. ¿ The relative efficacy of the GP letter in prompting screening attendance shows that this strategy is worthy of further investigation. There remains a need to examine the barriers to screening for older women, and to develop tailored strategies for this population. © 1995, Medical Screening Society. All rights reserved. Nonadherence with antibiotic therapy has profound implications both for patient health and the health care system that bears the financial costs incurred. Significant levels of nonadherence with antibiotic prescriptions have been demonstrated. Of the many proposed variables involved, those that are potentially modifiable relate to aspects of the doctor-patient interaction and drug regimen. Despite the potential for intervention with these variables, there have been very few methodologically sound studies examining their effect on adherence with either medications generally or antibiotics specifically. Only two studies were located that had tested the effectiveness of reduced complexity of antibiotic dosage schedules. The results suggest that the less complex the schedule, the greater is the adherence. Both practitioners and patients must be encouraged to use and accept simpler dosage schedules, preferably once-daily schedules wherever possible. The paucity of well-controlled studoes to date highlights the need for further research evaluating intervention strategies that utilize variations in dosage schedule and elements of the doctor-patient interaction to improve adherence with antibiotic medications. © 1992.